Clarinettist Katherine Spencer made her concerto debut at the age of fourteen at the Royal Festival Hall and has since performed there as concerto soloist many times. She has also appeared as soloist with the BBC Symphony Orchestra, The Academy of St Martin in the Fields Orchestra at the Barbican Centre and at the Birmingham Symphony Hall and Queen Elizabeth Hall, made many live Radio 3 solo broadcasts, and performs regularly on Classic FM and European radio stations. She has recorded the Brahms Sonata and Beethoven Trio for the Oxford Classic label with Sam Haywood and Martin Storey and many of her discs with the Galliard Ensemble, of which she is a long standing member are highly acclaimed in the world press, Gramophone and BBC Music Magazines. Katherine has performed Mozart with the remaining members of the Amadeus Quartet in the presence of HRH the Emperor of Japan and alongside her many Royal engagements, has performed in the first live concert broadcast from Buckingham Palace. As a chamber musician Katherine was chosen by the BBC to be on their Young Generation Artists Scheme which has facilitated her continuing to perform internationally with her ensembles regularly in Festivals such as the BBC Proms and the Barbican’s “Mostly Mozart Festival”. 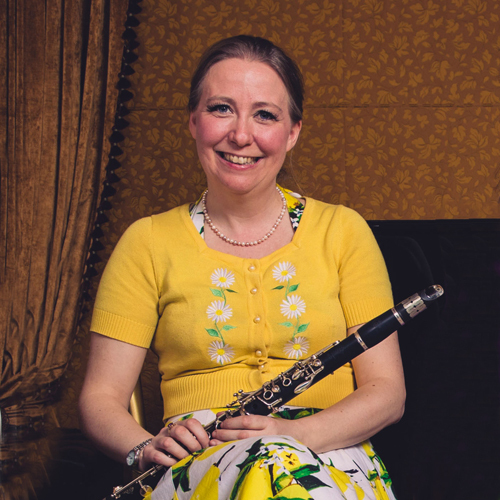 Katherine is a member of the Age of Enlightenment Orchestra, principal clarinet of the City of London Sinfonia as well as regular guest principal with the Irish Chamber Orchestra and Gabrieli Consort and Players. Her freelance work sees her regularly playing with many of Britain’s leading orchestras of both period performance and modern symphony orchestras such as the Royal Philharmonic Orchestra and Northern Symphonia. Katherine is passionate about bringing music to all areas of society. She is always devising and delivering hugely valuable projects from composing and recording an entire film score written in collaboration by a mainstream and special needs school, to linking art and music to homeless people, which were exhibited in London’s main art galleries. 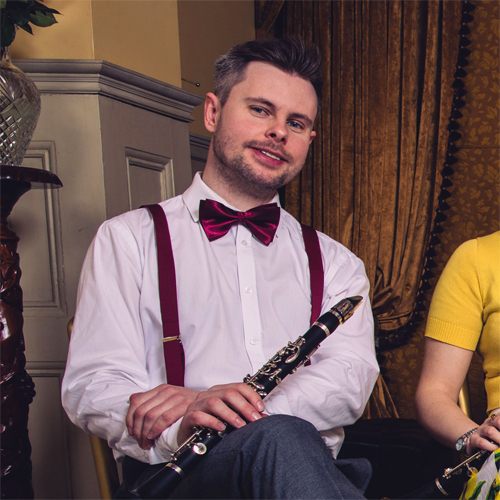 Jonathan Parkin has rapidly established himself as one of the up-and-coming clarinettists of his generation. 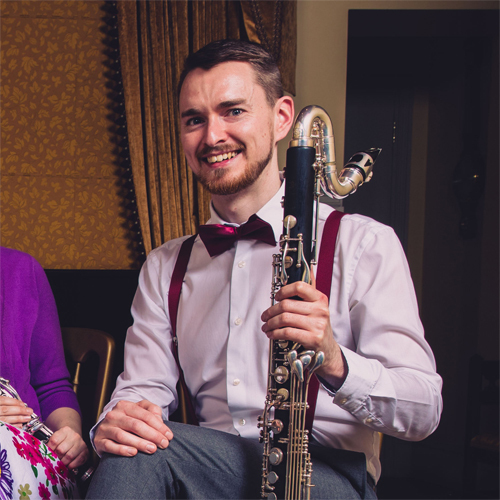 Equally at home as the soloist, chamber music player and orchestral musician, he leads a busy and exciting schedule as a leading London freelance clarinettist. Jonathan Parkin studied first with George Macdonald and then with Richard Hosford and Robert Hill at the Royal College of Music (RCM) in London. Whilst there, he won a place onto the London Philharmonic Orchestra’s ‘Future First’ apprenticeship scheme and, immediately after graduating in 2009, he held the position of Co-Principal clarinet with Southbank Sinfonia. Since graduating, Jonathan has enjoyed an increasingly flourishing orchestral career. He is a regular guest principal clarinet for many of the UK’s finest orchestras, having recently worked as principal with the Royal Philharmonic Orchestra, City of London Sinfonia, the orchestra of English National Opera, the orchestra of English National Ballet and the Royal Northern Sinfonia. In addition to these orchestras, Jonathan works regularly with the Philharmonia Orchestra, London Chamber Orchestra and the orchestra of Les Miserables, and has also worked with the London Sinfonietta, John Wilson Orchestra, and the orchestra of Opera North. Jonathan has also been invited to play principal clarinet with the London Concert Orchestra, English Philharmonic Orchestra, National Symphony Orchestra and the New European Ensemble in The Netherlands. As a soloist, Jonathan has played at countless London venues and for various music clubs in the UK, often with his duo partner, pianist Sebastian Stanley. In 2012, the duo was contracted by EMEC Records to record its first solo album, which is now commercially available and available to purchase online (see ‘purchase page’). Jonathan has performed the Mozart Clarinet Concerto with the Orpheus Sinfonia on three occasions. Whilst a student, he won the Royal College of Music Clarinet Prize, he performed in the concert final of the Tunbridge Wells International Young Concert Artists Competition (TWIYCA), receiving 2nd Prize and was selected as a finalist in the Haverhill Sinfonia Soloist Competition. Soon after graduating from the RCM, he was a wind finalist in the prestigious Royal Overseas League (ROSL) Annual Music Competition. A passionate chamber musician, Jonathan is an artistic director for Clapham Chamber Concerts, performing regularly in the series. In addition to his duo work with pianist Sebastian Stanley (a collaboration of more than ten years), highlights of his chamber music activity include a Wigmore Hall performance of Mozart’s Wind Serenade in E flat, and collaborations with the award-winning Cavaleri String Quartet, Piatti Quartet and Pavão Quartet. Jonathan has performed in concerts broadcast live on BBC Radio 3 and Classic FM and in such venues as the Purcell Room, Wigmore Hall, Royal Festival Hall, Barbican Hall, Royal Albert Hall, Cadogan Hall, St. James's Piccadilly, St. Martin in the Fields and the Sage Gateshead, as well as countless prestigious venues overseas. Jonathan plays exclusively on large bore clarinets, beautifully hand-crafted by Luis Rossi of Chile, based on an early twentieth century English design. 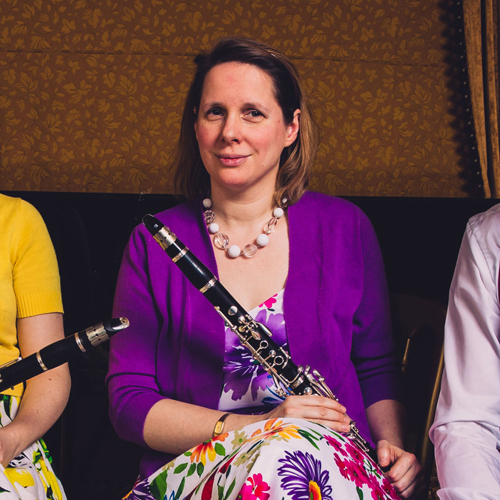 Sarah has been working as a freelance clarinettist since 1998. She also plays bass clarinet, E flat clarinet and basset horn, as well as performing with period instrument ensembles. She directs the ensemble Contemporary Consort and is also a member of the Clarino Ensemble. Sarah has performed concertos by Finzi, Weber, Mozart, Strauss, Copland, Debussy (with the Philharmonia) and Rossini (with the BBC Concert Orchestra). She has given recitals at the Purcell Room, St John's Smith Square, and Bridgewater Hall.